1. Why is Edison, not Carver, synonymous with invention? “Edison” is virtually a synonym for invention and inventiveness, thanks to Thomas Edison and his 1093 U.S. patents. Among them is his most stellar achievement: one that made the electric light bulb a universal symbol for a bright idea. However, there are a couple of major problems with this glorification of Edison: he didn't invent the light bulb, nor did he invent 1093 things, or anything close to that. Edison spearheaded a team that created the first commercially successful incandescent light, with a lot of help from others. Edison purchased similar patents, worried they were very similar to his ideas, but they preceded his, so it isn't accurate to say Edison invented the light bulb. Edison employed many people and took credit for their discoveries. If a similar misdeed were to occur today, Jeffrey Immelt, Chairman & CEO of General Electric (GE), would take credit for inventions generated by his employees. 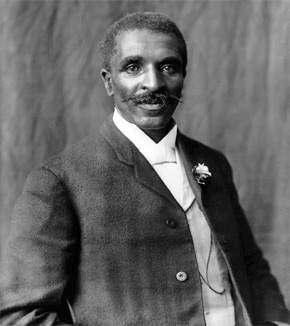 George Washington Carver was a prolific American inventor who actually invented things, as contrasted with Edison's skill in stealing ideas and taking credit for inventions made by his employees. If you read about Carver, you're bound to be impressed by him as a person and his brilliant mind. So why isn't Carver synonymous with inventing and invention instead of Edison? Racism might have something to do with it. Carver lived in a country reluctant to fully acknowledge achievements by blacks unless they were in sports or entertainment. Carver, being black, never fully received the credit he was due. In studying history after studying medicine including psychiatry, I am amazed by the magnetic attraction most people have for opportunistic, unprincipled, narcissistic jerks who excel in Machiavellian scheming and self-aggrandizement—people who do whatever they can get away with, such as Edison. Carver, in contrast, was genuinely nice. In America, being nice—and attributes that go along with it, such as being low-key—puts people on the fast track to being overlooked. Where would Madonna be if she were nice and low-key? Perhaps about as famous as one of her relatives who was in my medical school class. Paul who??? Americans tend to glorify bad boys like Edison and bad girls like Madonna. Not surprisingly, some people figure this out. If they aren't sufficiently brilliant or talented, they amplify their perceived merits by being bombastic. For proof of the difficulty Americans have in differentiating diamonds from rubbish, look at Facebook and the glory heaped upon its leader, Mark Zuckerberg, who either stole the idea for Facebook or was so convinced he did that he paid $65 million to settle a lawsuit alleging that. Even people with rudimentary skills in connecting the dots can see that Zuckerberg is creepy, or at least seems that way (his public image wasn't helped by his latest interest: butchering animals by slashing their throats), and more than a few people opine that he is a raging sociopath. As a doctor, I have doubts about that (see * below), but if you're a reasonably intelligent adult and use Facebook for long, you can't help but wonder what sort of mental pathology it took to make that site into a privacy and technical nightmare that sugarcoats its poisonous nature with figurative candy, akin to child molesters wooing potential victims by offering treats. * So why isn't Zuckerberg a sociopath? Read my article, Zuckerberg sweating when asked about privacy: why it should make you nervous. The fact that Zuckerberg sweated bullets when asked about privacy demonstrates that he knows what he is doing is wrong, and it bothers him deeply. In fact, he is utterly ashamed of it, but he isn't honest enough to admit it verbally, so his conscience does the talking for him, cranking his sweat glands into overdrive. I stumbled upon a Facebook privacy intrusion that makes the others seem inconsequential. Recognizing the privacy breach made me realize that Zuckerberg is a genius at hacking and that we are, as he said, “dumb fucks” for trusting him. Deep down, many people aspire to be better known than Carver, but most of us achieve less than 1% of what he did. In the game for glory, is all hope lost? No. You can replicate my dunce-to-doctor transformation by augmenting your intelligence and creativity, or you can emulate Edison, Madonna, and Zuckerberg. 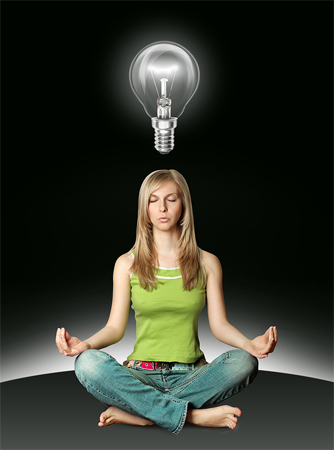 If you're pressed for time, as most of us are, skip the brainpower boost and focus on what is even more effective. Who cares about genuine greatness, anyway? Do you want to be famous or forgotten like Carver? Edison purchased the Woodward light bulb patent to preclude challenges. Comment: If you can think logically, you can easily see the bizarre aspects of Facebook. If you're a programmer, you can easily see the myriad flaws in the implementation of their twisted ideas. Dr. Carver and Nikola Tesla were geniuses. Thomas Edison was a bad seed all around. Thanks for the articles and links, I learned quite a bit. REPLY FROM KEVIN PEZZI: You're welcome. I admired Edison when I was younger and knew only the Disney-like depiction of him that omitted his scoundrel nature. He made a major error in denying Tesla the payment they had a gentleman's agreement about to redesign Edison's inefficient equipment. As you correctly noted, Tesla was a genius who likely would have continued to work for Edison had he been fairly compensated. 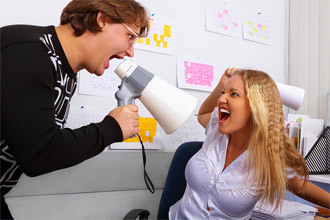 Many employers pat themselves on the back for getting as much work as possible from employees while paying them as little as possible, but that usually backfires with people like inventors who generate intellectual property—the value of which is often so great that wise employers willing pay productive minds handsomely to encourage them to be even more productive.